According to reports, the assailants attacked the pump attendants with knives, stealing their waist bags containing money from the day’s sale. Police were alerted and soon arrested two of the thieves while they were trying to escape. The third person was apprehended hours after. Witnesses reported that one of the pump attendants was stabbed in the neck, but according to police, it was just a cut wound. He was rushed to the Dr. Otto Rodriguez San Pedro Polyclinic II, where he was treated. The initial police investigation states that the incident took place shortly after 7PM, while 33-year-old Adolfo Gongora, pump attendant, and his co-worker Jonathan Reyes were about to finish another routine day at work. Two male persons suddenly approached Gongora, held a knife to his throat and stole a black waist bag containing $1,000 from the day’s sales. The assailants also took Reyes’ waist bag containing $900. It is alleged that it was during this time that police were alerted and were able to quickly respond to the area. Upon arrival, police set to chase after the thieves and detained two of them in nearby bushes, while the third person managed to get away. However, it did not take police long to catch the third mugger. Several residents were shocked to hear about this recent crime activity that took place in the early hours of the night. They acknowledged the law enforcers for their quick response, but according to them this spike in crime is worrisome and they hope it does not escalate. They also recommend business owners to have better security measures at their establishments for the safety of their patrons and employees. This is not the first time Caribeña Fuels Station is being a target for robbery. On September 4, 2015, pump attendant Jonathan Reyes reported that around 7:20PM he was robbed when he and his co-worker Aroldo Mesh were standing outside under the shed beside their assigned fuel pump. 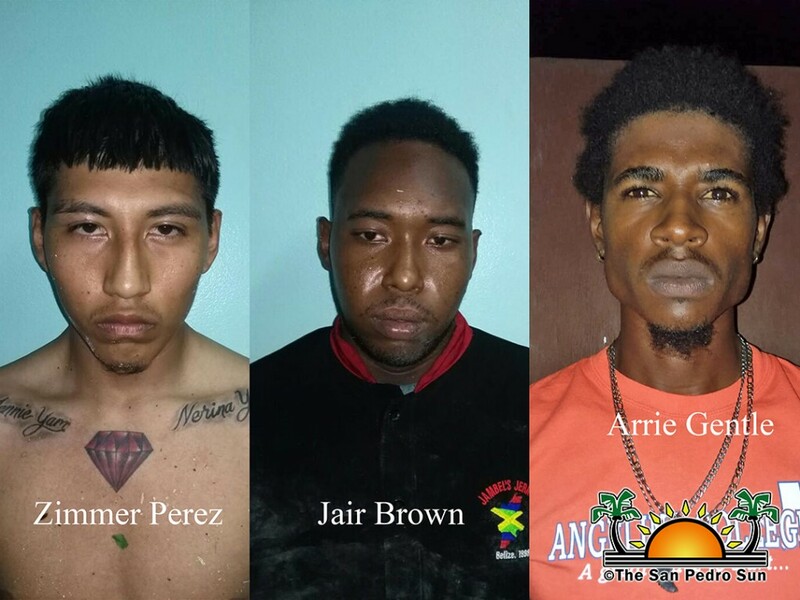 Reyes said that two dark-skinned men approached them armed with a .38 revolver demanding for them to hand over their waist bags containing from gas sales. Fearing for their lives they obliged and surrendered the bags. One contained $300 while the other one had $500 in different denominations. The robbers then made good their escape. Police visited the scene and reviewed the video surveillance and began looking for 19-year-old Garry Young and 25-year-old Kevin Young. However, there are no records of the suspected duo ever being apprehended.